It’s true to say that longer trips require more planning & organisation. Not simply where are you going, but how will you get there? What gear will you need to take? What will you carry it in? What weather will you face? Featuring a women’s specific fit, we’ve designed the Ariel exactly with these questions in mind. The built in raincover keeps the heaviest rainstorms on the outside of your pack and the torso adjustable Airscape™ backpanel offers ventilation, even while trekking across in the hottest deserts. 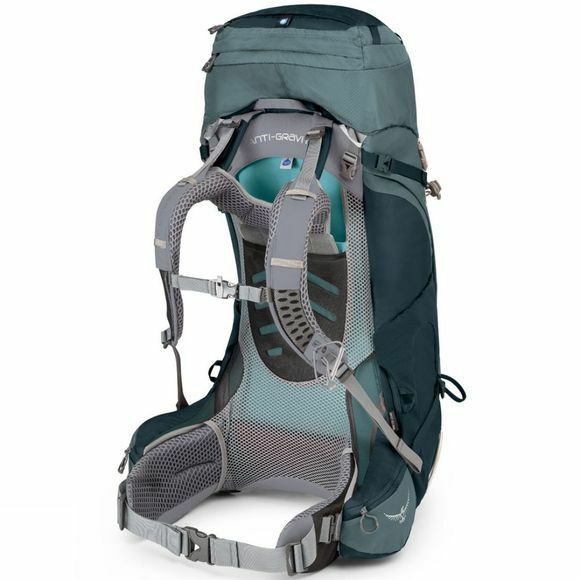 You can remove the top lid and convert it to a lumbar pack, perfect for day hikes away from your basecamp. 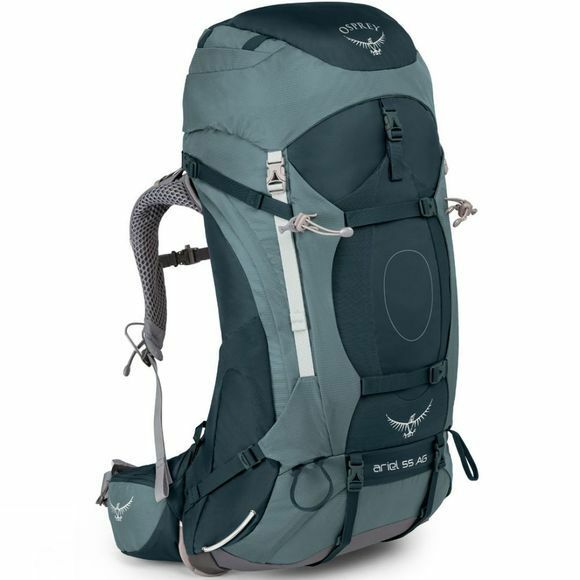 Your gear is all readily to hand, with the inclusion of a large J-shaped zip that allows access to the main compartment without opening or closing the top lid. The StraightJacket™ compression system pulls your load in – holding it tight, but it can also be used to significantly reduce the total volume of the pack, great when you’re carrying less not more. The stretch pockets on the front and sides of the pack are great for storing anything you can cram into them, designed to access water bottles on the go.